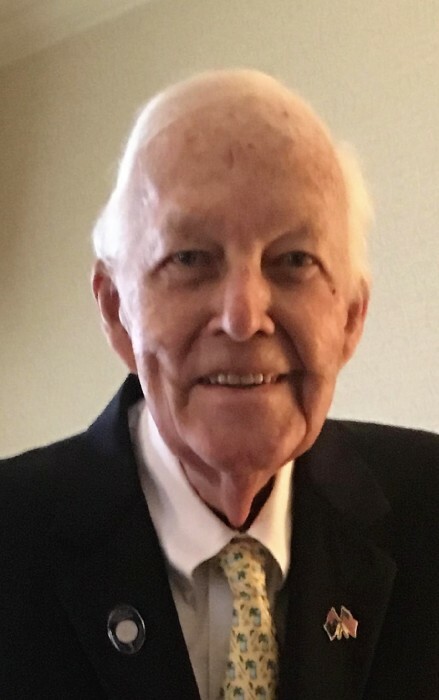 Edgar Paul "Ted" Herrington, Jr. passed away peacefully on January 21st at home in Williamsburg, Virginia, ending 97 years of a life well lived. He shared a home in Williamsburg with his daughter Mary Herrington Kefalas and her husband Arthur and their kindness to him contributed greatly to his happiness in the last years of his life. Born in Crafton, Pa., Ted grew up in Wilkinsburg, graduating from high school there before enlisting in the Army Air Corps in 1942. He spent World War II in the Pacific on a B24 aircraft and was awarded five campaign stars and two air medals. Following his military service, Ted enrolled at the University of Pittsburgh earning his B.A. in 1949 and graduating from the law school with a J.D. in 1952. While at Pitt, Ted met the love of his life, Mary Elizabeth "Sis" Byers, with whom he shared 63 marvelous years. They made an exceptional team. With love and luck they filled those years with hard work, humor, and fun, always grateful for their numerous blessings. Their values of devotion to family, loyalty to friends and service to their community remain an inspiration to all who knew them. Ted moved to his wife's hometown of Greensburg in 1952 to begin a sixty year legal career in private practice which included time as assistant district attorney and sheriff's solicitor. He served as President of the Westmoreland Bar Association, as a Governor of the Pennsylvania Bar Association, and was a charter member of the Westmoreland Trial Lawyers Association. Ted loved Greensburg and was always eager to contribute to his community. A life-long Rotarian, he was President of the Greensburg Rotary Club and an honored Paul Harris Fellow. Ted was President of the Children's Home Society and was a charter member and Director of the Westmoreland Hospital Foundation. Ted was also a long time Trustee and congregant of the First United Methodist Church of Greensburg. Ted loved music. He had a beautiful baritone voice and sang in church choirs much of his life. He and Sis were frequent attenders at concerts in St. Clair Park and at the Palace Theatre. Ted and Sis retired to Williamsburg, Virginia in 2012 where Ted could indulge his passion for American history. In Colonial Williamsburg Ted served as a volunteer at the St. George Tucker House for five happy years and got enormous pleasure from attending many classes for senior citizens at the College of William & Mary. Ted was preceded in death by his beloved wife in 2013. He is survived by a large and loving family including three children and their spouses, five grandchildren and spouses, and four great grandchildren: children Heidi Herrington Debevoise and husband Whitney of Chevy Chase, Maryland, Edgar Paul Herrington III and wife Alice of Louisville, Kentucky, and Mary Herrington Kefalas and husband Arthur; grandchildren Hadley Herrington Debevoise Allen and husband Bradley of Washington, DC, Elizabeth Whitney Debevoise Baxter and husband Edward of London, England, Edgar Paul Herrington IV and wife Emily of Pittsburgh, Christopher Herrington Kefalas and Kevin Byers Kefalas of Richmond, Virginia, and greatgrandchildren Hugo, Mary, Helen and Henley. Ted's kind and loving heart, his quick wit, his zest for life and his gentle nature touched all who knew him. Family and friends are invited to a service to celebrate Ted Herrington's life at 11 a.m. Saturday, January 26th at the First United Methodist Church, 15 East Second Street, Greensburg, Pa. 15601. There will be no visitation for the public and private interment will be held in the St. Clair Cemetery. Kepple-Graft Funeral Home of Greensburg is entrusted with the arrangements. Memorial contributions will be gratefully received by the First United Methodist Church for the Pastor's Emergency Fund and by the Greensburg Hempfield Area Library, 237 South Pennsylvania Avenue, Greensburg, Pa. 15601.